Zackary Rabbit – Leader, movie director, actor, writer, model, comic artist, musician, chef and host of twitter cooking show "Cooking with Rabbits – Rabbits are the CHEF;NOT the Meal!!" (#cookinwifrabbits). Spends all non-working hours being a hard-core gamer (oh, and occasionally taking care of Plushateer)..
Rufus Rabbit – Rufus is the assistant to Zackary on #cookinwifrabbits and partner in crime when Zackary is on adventures. He is Zackary's naïve younger brother who loves food very VERY much! Big Guy (aka BG) – Big Guy is the star of the movie "Chance". He's an avid movie-watcher and often works as the camera-rabbit in other movies and shows. He is the second line of support to Plushateer because he is so big and cuddly! 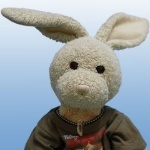 Hank Hare – Hank is a $2 bunny from the grocery store and the only non-Gund bunny. Sometimes the other bunnies pick on him for not being a Gund. He often hangs out with Orlando. Orlando Bear – Orlando thinks he's a bunny. He spends most of his time dealing nip to other crew members to help with "inspiration" or something. He hates that the back of his head resembles a particular ex-president. Fred Rabbit – Fred is twins with George Rabbit. He usually helps around the set, but had a small role in "Chance" as the child bunny. George Rabbit – George is twins with Fred Rabbit. He's the quiet type. 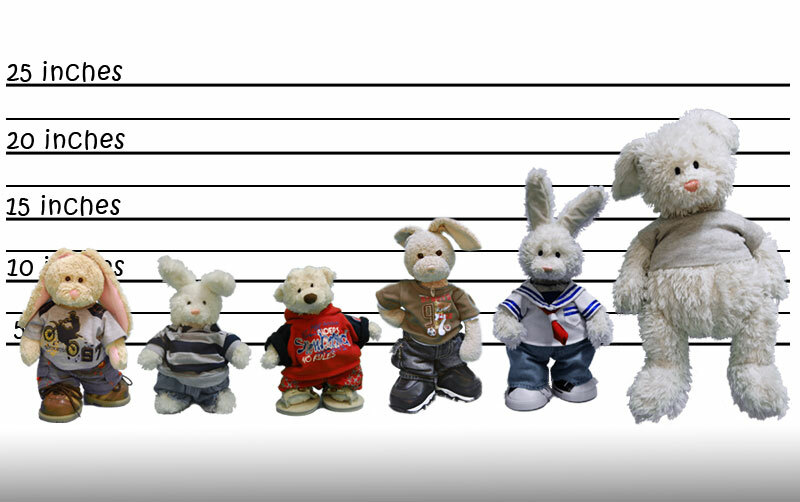 Howie Rabbit – Howie is Zackary's triplet brother. He is always pretending to be Zackary, but no one believes him. Charlie Rabbit – Charlie is Zackary's other triplet brother. He best represents what Zackary used to look like when he was originally brought home from the store. Little Laurence – Laurence is the predecessor to Zackary. He's retired from Plushateer-duty, but gives advice and wisdom to the younger bunnies. He's usually found lounging comfortably on the edge of the bed. Chubby Dan – Chubby Dan is one of 5 baby bunnies. They like to get into mischief.